I have begun making electronic compositions since 2009. Most of the songs I make are about a universe I'm still working on about a dystopian future involving the United States becoming very notably corrupt and how it affects itself as well as the rest of the world. Assume songs with this subject to not be final products. Some other songs I make are on the subject of My Little Pony: Friendship is Magic. The world has led itself to an unfortunate situation. Last edited by Царица Луна on Sat Apr 12, 2014 6:12 pm, edited 1 time in total. Luna's corruption one is a pretty electronical-ambienty track. I feel some analogy with a space-amb. That sounds suppressive in a good sense. Composition difficulty is also higher than normal and for genre-fan that would sound breath-taking: loved the part after 8:00 . That reminds me of sci-fi shooter games. Yee know? 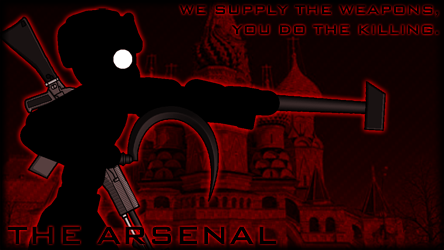 Like UT, Red Faction. Sean Hodges of course. Nazi-america reminds me of those oldschool soundtracks from different sci-fi films.. And robocop 3 for NES btw :) . I really have to add these to my player! And I love that oldschool rhythms. Last edited by Looz-Ashae on Tue Apr 15, 2014 1:20 am, edited 1 time in total. Looz-Ashae wrote: Luna's corruption one is a pretty electronical-ambienty track. I feel some analogy with a space-amb. That sounds suppressive in a good sense. Composition difficulty is also higher than normal and for genre-fan that would sound breath-taking: loved the part after 8:00 . That reminds me of sci-fi shooter games. Yee know? Like UT, Red Faction. Sean Hodges of course. I'm glad you like them. Mentioning Sean Hodges, his compositions have influenced me quite a bit; I absolutely love his style.